The curious true story of the life of Percival Fawcett has been brought to the silver screen by director James Gray. Mr Fawcett is a man with something to prove, in doing so he becomes obsessed with the Amazonian jungle and the indigenous people that inhabit it. Percival H Fawcett was the epitome adventurers, he was a geographer, cartographer, archaeologist, and explorer that mysteriously disappeared with his son in the jungles of South America. The astonishing chronicles of his life are just as amazing to read let alone brought to life in technicolor. He began his adventures funded by The Royal Geographical Society to map borders for the rubber trade. For Fawcett and his crew they were more progressive than their counterparts at the time just wanting to observe and not destroy the people there. James Gray brings waves of big budget, old school Hollywood to this film. 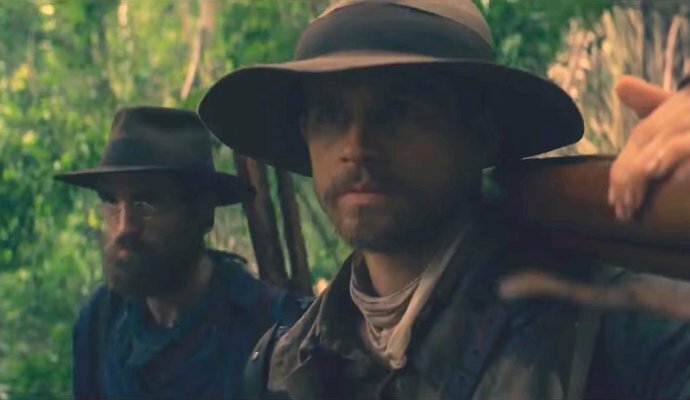 Charlie Hunnam and Robert Pattinson complement each other in this epic drama. Hunnam as Fawcett reaffirms how much range the "Sons of Anarchy" star has and Pattinson was unrecognizable as Henry Costin, definitely the part for him and far from "Twilight". Sienna Miller plays the doting wife of Fawcett that sadly was left at home waiting for her husband to return, the strength of the character is filled out perfectly by Miller. The one part that I loved was Angus Macfadyen as James Murray a financial supporter of Fawcett's expeditions was a bit of comedic relief for the tense drama. The jungle scenes were filmed in the beautiful Tayrona National Park of Magdalena, Colombia and mostly filmed in North Ireland for his home. They didn't shy away from the perils of going into a uncharted jungle. Infection, disease, parasites, insects, poisonous plants, and predatory animals are just a few of the things they depict in the film, so there is some stylized reality and done quite well. I did find it surprising and strange they did mention the 62 foot Anaconda he claimed he shot on one if his trips, I guess you can't ever tell the whole story. I actually really liked this film, I always love a adventure story and a true story at that. Plus him disappearing after so many treks into the same jungles I guess his luck just ran out. I don't know, I kind of hope he did survive and found Z. I highly recommend this film it is quite the story and worth the ticket.